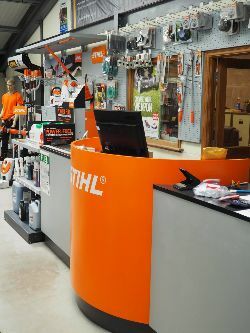 Here at Armstrongs Garden Machinery Ltd we understand how important good Aftersales back-up is. A collection and delivery service is available but chargeable. Please contact us for a quote. 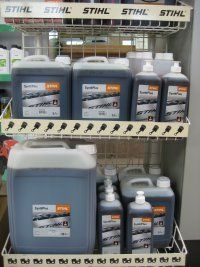 We also stock and supply genuine parts for all our own supplied machinery. Using only genuine parts ensures you get reliable quality at a reasonable cost so rest assured, If your machine is in with us, we'll only use the best! Any parts not in stock can be sourced within a short period of time. 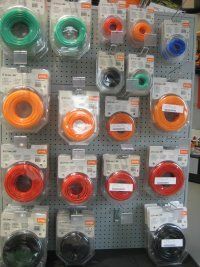 In addition, our showroom always has stock of consumables for example oils, filter kits, strimmer line, chains etc. To enquire about servicing and repairs or parts and stock, please contact us on the number listed on this site. We recommend that you use unleaded 95RON, 98RON or 95 E-10RON fuels. Petrol containing higher levels of ethanol is corrosive and attracts water, which can cause starting or running problems or, in some cases, damage to your machines fuel system. Store the fuel in a clean, approved and sealed container. If you use a steel fuel can; ensure that there is no corrosion inside. Ensure that the fuel container is full to its recommended capacity. (As the presence of air accelerates fuel deterioration). Store the fuel away from direct sun light and in a cool place. To ensure that the fuel cannot go stale in the fuel system, before the end of each use turn the fuel tap off and continue to operate the machine until it stops. (If a fuel tap is fitted). Drain the carburettor or fuel injection system and the fuel tank. Unleaded fuel deteriorates rapidly and has a short storage life!